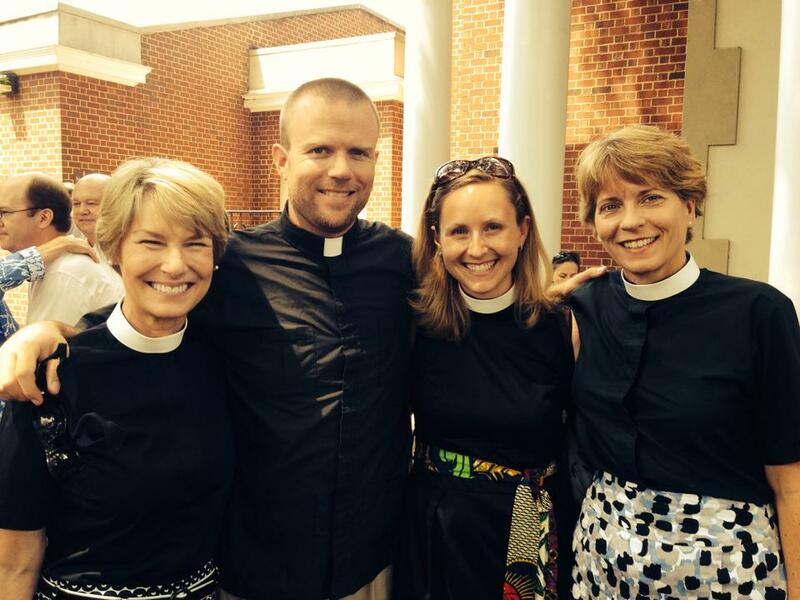 On Saturday, I was ordained a deacon at the Church of The Good Shepherd in Raleigh. It was good to be in my home diocese. On Sunday, I “deaconed” and preached at Christ Church in Charlotte, with all the sweet smells, visions, faces, and sounds of my home parish. While I had preached at Christ Church before, this was my first time preaching in “big church” with some extra pieces of clothing befitting a deacon. So it was a touch foreign and abundantly homey at the same time. I remain filled with gratitude. In the name of the One, Holy and Everliving God, Amen. Goodness, today’s Gospel message is full of paradox. One moment we are told how special and cared for we are. The next we are told of certain struggle and pain. Three times we are told not to fear, and then we are given some scary predictions of what to expect as followers of Jesus. This is not an easy passage to preach. And our first reading from Genesis isn’t any easier. Abraham sends his slave and mistress Hagar along with his firstborn Ishmael into the wilderness with nothing but some bread and water. And he does so with God’s blessing! What are we to make of God’s word to us today? What is the good news? Now which of these statements is most likely to engender trust in the child? Truth can be hard to hear sometimes, but truth doesn’t let us down. Truth grounds us. Truth gives us the sure foundation we need so that we can weather whatever lies ahead. This Gospel passage is a shorter snippet of a longer conversation Jesus is having with his disciples about what to expect as followers. Some scholars call it the “missionary discourse” because Jesus is preparing his friends for a mission. He has summoned the twelve apostles, he has commissioned them to go out into the world preaching and healing, and he has warned them of persecution. Then comes this bit of comfort… and of swords. And then Jesus finishes the conversation by telling them that those who welcome the disciples–these missionaries–welcomes Jesus himself and the God and Father of all. Are you a follower of Jesus? Then you, too, are a missionary. Listen to these hopeful and hard truths—they are yours. “It is enough for the disciple to be like the teacher.” In other words, remember Jesus? Always stirring up trouble with statements like, “love your enemy” and “it is better to give than to receive?” The Jesus who came to “proclaim good news to the poor” and “freedom for the prisoners?” Well, Jesus followers, if the disciple is like the teacher, we ought to expect more than a few raised eyebrows about our lives and actions. And listen when Jesus says, “What I say to you in the dark, tell in the light; and what you hear whispered, proclaim from the housetops.” As Jesus followers, we’re not just called to know that God is Love and rest in that truth. We have to be and do that truth. We can’t just sing at Christmas “Go tell it on the mountain,” rather we must live lives and make decisions that truly tell-it-on-the-mountain every day. When peace is not the way of this world, peacemaking is not peaceful work. Again and again in the Gospels we see Jesus portrayed as one who contradicts the social norms and introduces chaos. Indeed, Jesus can be divisive. So the life of a disciple, a Jesus follower, a missionary–of you and me–could and perhaps should demonstrate the same. When the Gospel proclaims a counter cultural message, and we are the voices that proclaim it, we are going to come up against traditional power structures and even against one another. We see evidence of this division in our homes and in our churches as we all seek truth and then live out the difficulties of the truth we seek. And as a result of being truth seekers, truth proclaimers and truth doers, we may feel deserted. Like Hagar and Ishmael, we can count on wilderness moments of thirst for living water and hunger for the bread of life. And like Hagar and Ishmael we can count on God showing up, hearing our cries, staying with us—even in the wilderness. Today’s Bible passages tell it like it is. They tell us, “This is going to hurt, and you are going to be OK.” Truth like this may be hard to swallow, but it’ll stick to your ribs. It’ll stick to your ribs when you take a big risk to make what could be just a small change in a broken world. And you’ll remember: do not fear…even the hairs of your head are all counted. It’ll stick to your ribs when you speak up for a cause or a person who has been beat down. And you’ll remember: have no fear…nothing is secret that will not become known. It’ll stick to your ribs when you keep quiet at a time you’d really like to speak up – so that someone else can be heard. And you’ll remember: do not be afraid; you are of more value than many sparrows. The truths that give us comfort and hope mean what they do and ground our faith because we’ve heard the hard truths too. Jesus’ statement, “I have not come to bring peace, but a sword,” is uncomfortable to hear. It makes us squirm a little. We might want to gloss over these words to focus instead on words like, “I have come that they would have life and have it to the fullest.” But Jesus’ promise of the Kingdom of God and life eternal and “life to the fullest” are promises we believe because Jesus tells the truth about all things—persecution and peace, division and reconciliation, oppression and salvation. Jesus tells the disciples, “do not be afraid,” because Jesus knows how scary proclaiming the Gospel can be. Jesus anticipates us making unpopular decisions and speaking uncomfortable truths. AND Jesus tells the disciples, “do not be afraid,” because Jesus knows that God will show up and stay with us and sustain us until the fullness of the kingdom is known and the peace of God reigns supreme. I’m writing a paper answering “What is the Muslim view of Peace?” and I have been struck by what jihad really means (struggle), and the difference between lesser and greater jihad. The Prophet Muhammad basically said that the inner struggle is the greater jihad, and the struggle for social justice is the lesser jihad. Aha. Yes. Something to post by my bed or on my mirror–perhaps on my calendar. For as much as I am eager to learn all I can, hoping accrue as many peace-making tools as possible, I must not learn at the expense of intentionally being with God in both peace and unity. Thank you, Islam, for giving this Christian perspective as we head into the final weeks of the term.